Here are some natural ways to prevent obesity and overweight. The tips provided here are also good for losing weight in obese people. Healthy diet to prevent obesity. Eat plenty of vegetables. They contain fewer calories and are good source of fiber. Fresh or frozen vegetables are better than caned ones. Eat fruits for snack time. Like vegetables fruits have less calories and more fiber. In addition, they are excellent source of vitamins and minerals. Go directly to the fruit and vegetable section when you enter the supermarket and fill the basket. Then you will be less likely to buy unhealthy food. Stay away from processed food . Even though they are very convenient, they are loaded with fat, sugar, and salt. Stay away from pastries, cakes, and pies. They also have large amounts of fat and sugar. Remove all the skin from chicken before cooking. Trim all visible fat from meat. This is an important way to prevent obesity. Use low fat milk and other dairy products. Eat whole grain bread instead of white bread. Wholemeal bread is a good source of fiber that helps lose weight. Don't skip breakfast. If you do not eat in the morning, your body will not burn calories effectively. Avoid eating your meals while watching television. Always read labels before buying any food. Look for fat, sugar, and salt content. Always have a list while shopping. Steam or stir-fry your vegetables. Deep-frying is not a good idea. Use non-stick pan and low fat spray for cooking. Use smaller size plate for dinner. Eat slowly and enjoy your meals. Eat more fish. They are good source of protein and omega 3 fatty acids. Avoid mayonnaise in salads. Instead use lemon juice. Avoid fast food. Most of them have large amounts of fat. Drink plenty of water. Avoid soft drinks which contain more sugar. Limit the intake of alcohol. It contain more calories than sugar. Don't eat biscuits, cakes, or buns between meals. Avoid seconds and don't eat leftovers. Stop taking sugar in coffee and tea. Eat five or six small meals rather than three big meals. The tips on preventing obesity that you have read are based on reducing calorie intake in natural ways. Here are some tips to burn more calories. They help reduce your body weight and prevent obesity. Walking is the best exercise that every body can do. Walk for at least 30 minutes everyday. It helps burn fat. In addition, walking gives you strong muscles and bones. When you go shopping, don't take your car. Get off from the bus one or two stops before your destination. Do some gardening work. It is a great way to get fresh vegetables and fruits. Play music and dance for 15 minutes a day. Play with your children or dog. Outdoor play should be a daily routine for kids. Go for swimming. It is a great exercise for your body and mind. Instead of using lift or escalator, use stairs. If you have staircase at home, use them often. Go up and down many times a day even if you don't have to. Keep in mind that prevention is better than cure. So practice the steps that you have learnt, to avoid obesity. 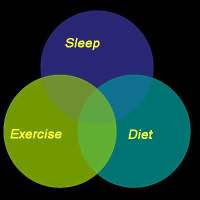 Better sleep to prevent obesity. Everybody needs adequate amount of sleep to maintain a healthy weight. Researchers found that lack of sleep can make you gain weight. Sleep deprivation increase the level of a hormone that stimulates apatite. It will make you eat more. So it is important to have at least eight hours of good quality sleep. Related posts: Prevent childhood obesity.